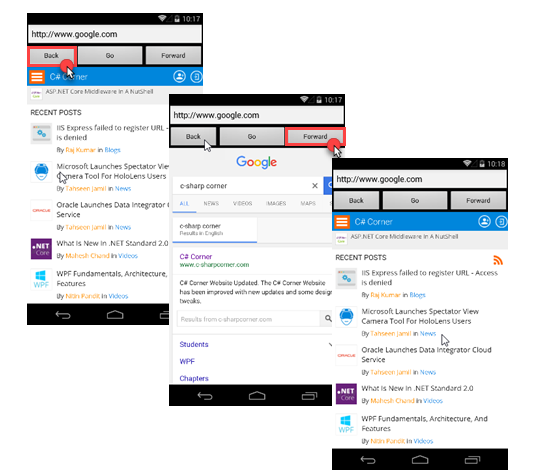 If you want to display HTML content or web content on your app, look to Xamarin. You can load static HTML, open web pages and URLs, and work easily with navigation. 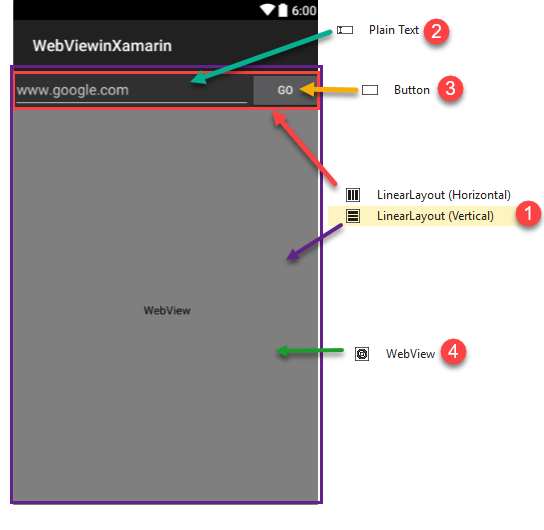 In this article, we will learn how to use WebView in Xamarin. 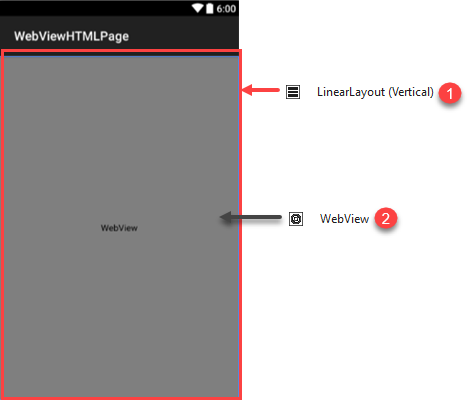 WebView is used for displaying HTML content or web content in your app. Let's begin! 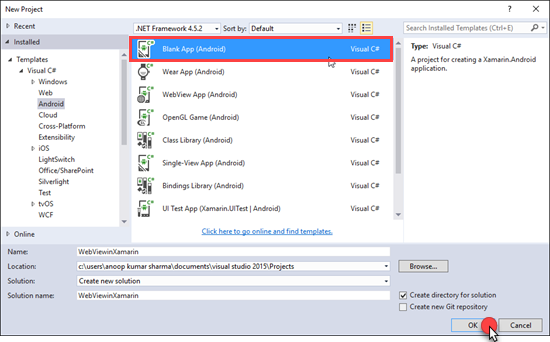 For this example, you'll need to create a new Xamarin Android project. 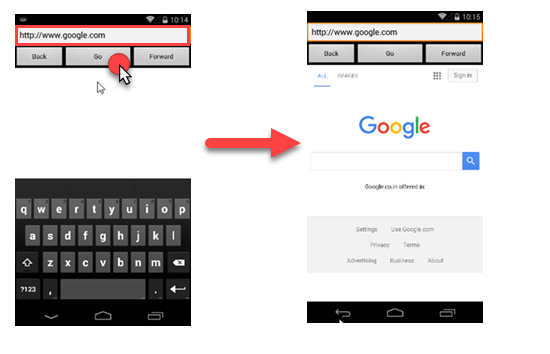 Click on the blank Android app, give it a meaningful name, and then click OK.
Open MainActivity.cs. Get WebView control/view from the Main Layout and Load HTML data in WebView using the below code. For this example, let’s add LinearLayout (Horizontal) and WebView controls in LinearLayout (Vertical) on the Main Layout. 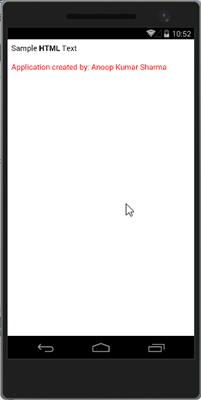 Add a "plain text" and "button" widget in the horizontal layout, as shown in the image below. When a user types a URL or website name in plain text view and presses Go, we will open a webpage in the WebView widget. //Get txtURL TextView, btnGo Button,webView WebView from Main Resource Layout. //Load URL in txtURL in WebView. //Give the host application a chance to take over the control when a new url is about to be loaded in the current WebView. WebView has several methods and properties that support navigation like GoForward(), GoBack(), CanGoBack, and CanGoForward. In this example, we will add Back and Forward buttons in the Main.xml layout. //If WebView has forward History item then forward to the next visited page. //If WebView has back History item then navigate to the last visited page. Build and run the application. Go to any web URL (in my case, I am visiting Google). After that, I searched "c-sharp corner" in Google and clicked on its official site in order to generate the back history items. 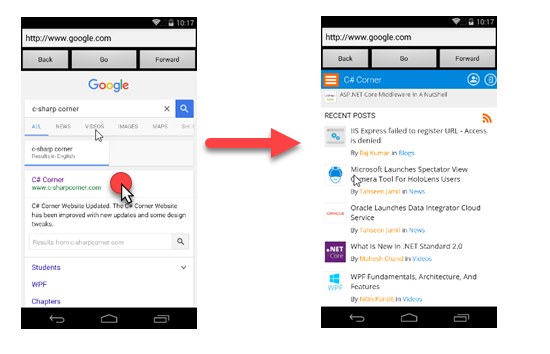 After the URL opens, click the back and forward button in order to navigate from one page to another. Hope you like this! Thanks for reading. Published at DZone with permission of Anoop Kumar Sharma , DZone MVB. See the original article here.